SALE! 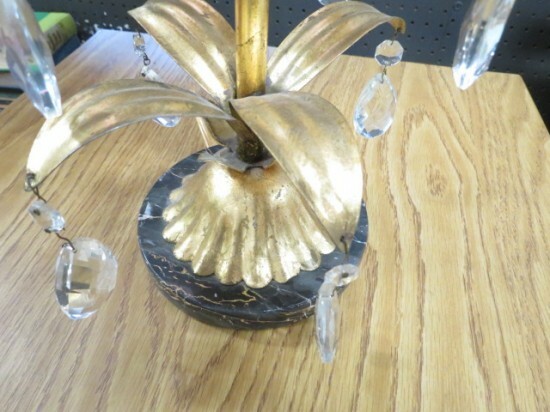 Now $88, originally $125. 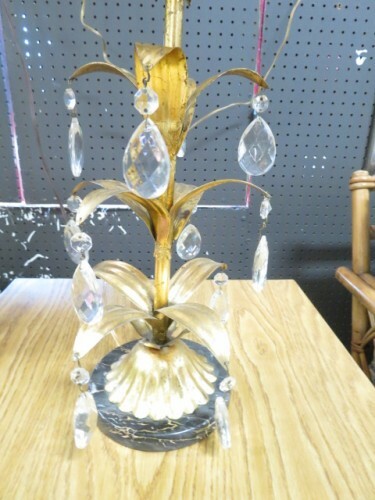 Vintage antique Italian gilt metal and crystal lamp c. 1930. Pretty gilt metal lamp on a marble base, three tiered leaf shaped stem with crystals. 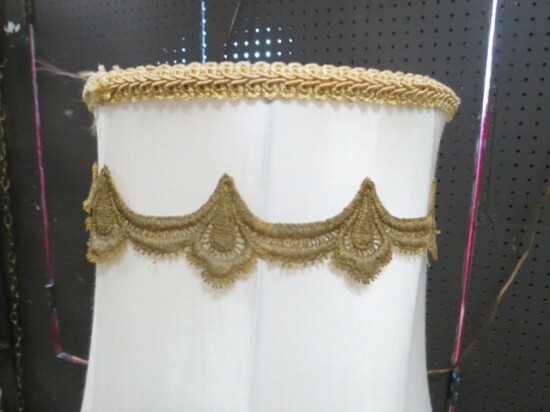 Original white shade with gold trim. 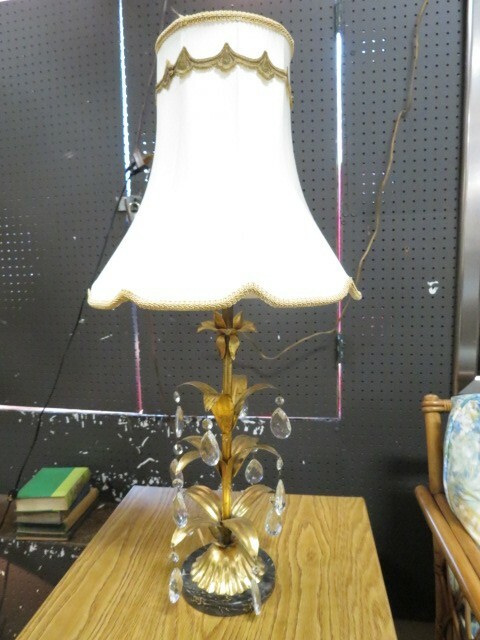 Makes a nice bedroom lamp, desk lamp, or living room lamp. Excellent condition. 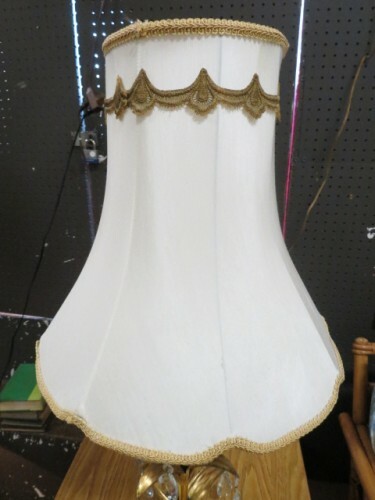 Measures 32” tall, 14” shade diameter, 6” base diameter.